Dave Lucas, named by Ohio Governor John Kasich as the state’s second poet laureate. Lucas spoke about how poetry, myth, and belief illuminate and help us find meaning in both our personal and communal experiences in life. A lifelong Clevelander, Dave Lucas received his Bachelor of Arts in English from John Carroll University. He earned his Master of Fine Arts in Creative Writing at the University of Virginia and his doctorate in English Language and Literature from the University of Michigan. 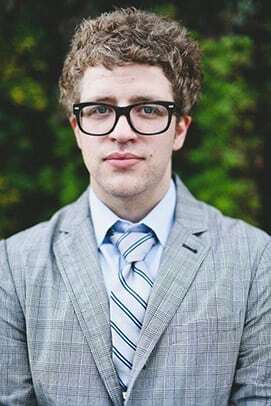 He is a lecturer at Case Western Reserve University and has taught at the Cleveland Clinic Program in Medical Humanities at the Lerner College of Medicine, the John Carroll Young Writers Workshop and Sweet Briar/James Madison University. His achievements include the For Your Gift grant award given by Reva and David Logan Foundation. In 2016 he was awarded the Cleveland Arts Prize for Emerging Artist in Literature and a Creative Workforce Fellowship from the Community Partnership for Arts and Culture in Greater Cleveland. In 2012, his work Weather was awarded the Ohioana Book Award in Poetry.